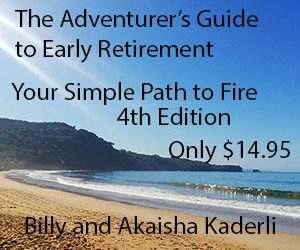 ← Hey Billy & Akaisha – Are You Retired or Not? Teaching Abroad, could it be your ticket to permanent life of travel? I have to admit, I had a huge advantage in life, spending much of my youth growing up in foreign countries. I had no hand in making this happen. I just have to be grateful that my parents took the leap. I did seize the opportunity for personal growth that led to an awareness of different ways to live. The possibilities are endless if only we allow ourselves to be open to things that are different and unfamiliar. Having grown up in both the International School System and the American School system in Asia I had wanted to try my hand at teaching in this foreign school system as an adult. My experience in these schools had been fantastic. Learning was challenging, immersive and invigorating. It was also academically strenuous, setting a standard for lifelong learning for which I will forever be grateful. Recently we had the joy of reconnecting with old friends and colleagues, Caz and Alan Mussell in Oro Valley, Arizona. 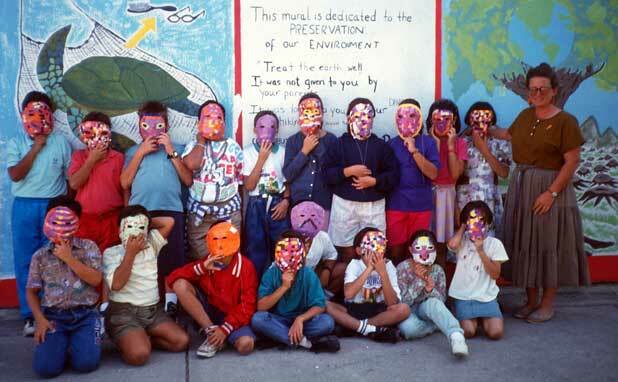 We had met during a year in which John and I lived and taught at Colegio Americano in Puerto Vallarta, Mexico. 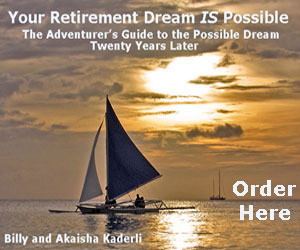 We had long admired this couple because they are a shining example of two Itchy Nomads that set off on individual paths, not knowing the outcome or really the destination, and met and built a life teaching in more than 8 countries between them. During their tenure they raised two children to become happy and very interesting adults while nurturing and changing the lives of endless children and their families in a ripple effect globally that is immeasurable. While we enjoyed a delicious meal of Thai Curry and brown rice Alan said, “Our lifestyle is the best kept secret there is.” He was speaking about a career built around teaching in the International Schools. What did he mean by “the Best Kept Secret?” Well we want to share it with you. Do with it what you will but John and I have experienced it first hand and numerous friends of ours continue to live it. Those who have lived this lifestyle but have gone on to do other things, look back and comment that their years of Teaching Abroad were some of their happiest and most vibrant years of their lives. That is the Secret; go teach in a foreign country. You can teach English as Second Language or you can teach other subjects in one of the many International Schools. The benefits are monetary, experiential and emotional. We will let them share their experience directly through this interview. We are proud to introduce you to Caz and Alan Mussel. 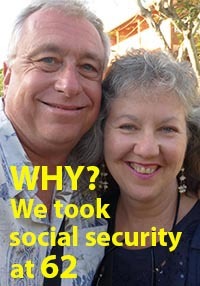 Alan is originally from Oregon in the U.S. and Caz is from North Eastern England. SUZANNE: Did either of you think when you started this career that it would last so long and take you to so many countries? ALAN: Not really. I just found that I liked teaching. CAZ: My family still wonders where the “travel bug” came from. From the age of about 15 I wanted to travel the world but I realized that I would have to work overseas to be able to do that. In those days it seemed that for women, there were two occupations which would allow me to fulfill my dreams. Those occupations were Nursing and Teaching. I hated the sight of blood and my Uncle, whom I admired, was a Teacher so it was easy for me to choose. SUZANNE: What drew you to teaching abroad and were your expectations realistic? ALAN: My Peace Corps experience was so important in those formative years that I re-enrolled for another term in Kenya, with similar positive results. CAZ: I went overseas to teach with an open mind, no expectations and with excitement to what I may experience. SUZANNE: What did you both teach? 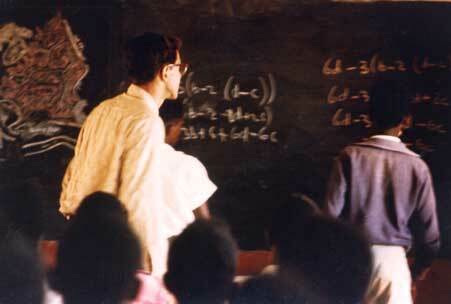 ALAN: I was first trained as a teacher under the US Peace Corps program and was sent to the Ivory Coast to teach science and mathematics in French. I have also taught Music on the side at different times. I had two years of college French, but the Peace Corp tested me for language competency and put me through an intensive French language program before I left. CAZ: I taught Math and Sciences at the Middle School and High School Level. I also taught Computer Studies in the Computer Labs. 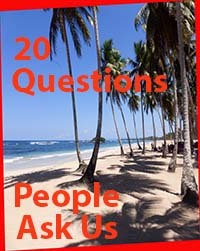 SUZANNE: What countries have you taught in and for how long? ALAN: I have taught in Ivory Coast (2 years), Kenya (10 years), Turkey (2 years), California (1 year), Oregon (5 years), Pakistan (3 years), Philippines (3 years) and Mexico (2 years). CAZ: Jamaica (2 years), Kenya (8 1/2 years), Pakistan (3 years), The Philippines (3 years) and Mexico (5 years). SUZANNE: Did you have a favorite country? ALAN: I found something of value in each country I taught. CAZ: No. I did not realize that I would stay away from England that long. But I loved moving to a new country, starting a new job. 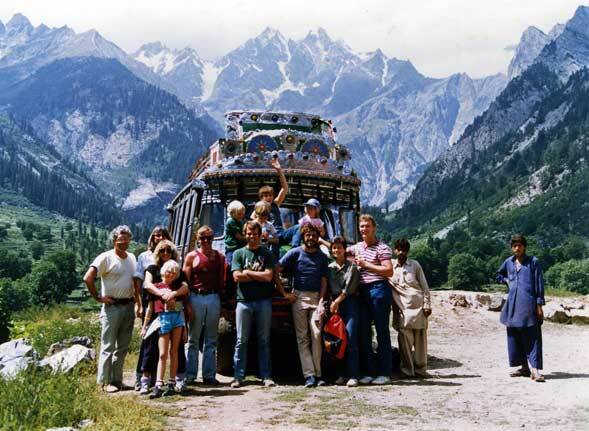 I was always eager to meet new people, explore the country and the culture. I enjoyed every country in which I taught because there were so many different things to experience. The most interesting was Pakistan because their culture was totally different with little of the western world influence. Also, the Pakistani students were special. SUZANNE: Was it hard to get these teaching jobs? What credentials or skills did you have or need? ALAN: I was first trained by the Peace Corps, got my credential, and then earned my Masters in Education. CAZ: One needed a teaching certificate and degree plus 2 years teaching experience. Not difficult to find a job if you were prepared to go anywhere. SUZANNE: Just a comment here from my experience, I only had an Emergency Credential which I got by substitute teaching in California. To earn this I had to first have a College Degree, and pass a State Test called the CBEST. This was adequate to get me a Teaching position with the understanding that I would continue on with my credential process. Others we have met have only a TOEFL or ESL Certification for Teaching English as a Foreign Language. SUZANNE: Did you need to know a foreign language? ALAN: I needed French in the Ivory Coast and was trained to speak Swahili for Kenya, which I used subsequently. In Mexico, I taught myself Spanish… I love languages and have found them invaluable in understanding the culture wherever I am. I learned bits of Turkish and Urdu also. CAZ: The local schools in which I taught in Jamaica and Kenya, the language of instruction was English. In the International schools the classes were all in English except the language classes. Suzanne: When I taught in Mexico, I team taught with a Mexican teacher. We taught 3rd and 4th grades. 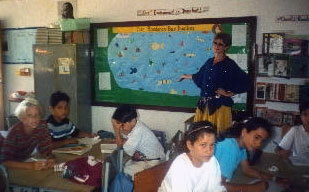 Half the day I taught the 3rd graders Geography, World History, Science and English Language in English. Meanwhile my Mexican counterpart taught Math, Spanish, Mexican History and Cultural Studies in Spanish. In the afternoon we flipped the grades and I taught subjects in English to the 4th graders. I learned a lot of Spanish that year, but it was not a requirement of my employment. It was more of a benefit to me. SUZANNE: What Skills were most in demand? ALAN: Desire to communicate with students and their families. SUZANNE: Math, Sciences, Foreign Language like French, and Computer Skills. John taught Computer Graphics and Physics in Summer School while I taught High School Earth Science. SUZANNE: What challenges did you have to overcome to make this lifestyle work? ALAN: It seemed to come naturally. There were illnesses, but no more than would have been expected in the US. CAZ: I had to adjust to being away from family. I had to discover the cultural differences especially those which may have been offensive to the local people. New people generally are euphoric when they first arrive but then a slump can occur after about 3 months when they realize the differences between their old and new life. Some find it hard to adjust. At each school one has to adjust to the way it is run while coping with unpacking, adapting to new environment and having no friends for support at first. SUZANNE: Using your 20×20 vision, was raising your children in this manner a positive experience for you and them? ALAN: They considered their years abroad immensely valuable. SUZANNE: The International and American Schools I attended had some wonderful travel programs and foreign exchange opportunities that were amazing. With my 20 x 20 vision, growing up in these schools provided an intimacy with the expat community, my local instructors and the school as a whole that I’ve never experienced in domestic schools. It spoiled me for less involved community lifestyle. SUZANNE: What did you like most about the lifestyle? ALAN: Immersion in a foreign culture. CAZ: Just experiencing another way of life, new food, new places, dress and having one’s life enriched by all of this. Being in a certain part of the world allows you to visit other countries nearby. SUZANNE: How did you find the teaching jobs in each country, and did you have your pick, or was it difficult to get the ones you wanted? ALAN: After the Peace Corps years, I attended some of the many hiring conferences, but because of my fields, found no difficulty in getting jobs. CAZ: The first 2 jobs, Kenya and Jamaica were found in the “Times Educational Supplement” which advertises jobs overseas. I chose to apply for these jobs. Later the positions in the “International Schools” were found through attending Recruiting Fairs which are held all over the World. Attendees interview with many schools of their choice and then choose the one they want from the offers they are given. One did not always get the school which was top of their list. I found these jobs through International Schools Services (ISS) and Quality Schools International organizations. SUZANNE: Was it a benefit that they could hire both of you as a couple? CAZ: It is a definite advantage to be a teaching couple. The school is getting 2 for the price of 1 nearly as they would have to pay fares, provide accommodation, medical etc. for families whether one or both are teaching. Some schools like Pakistan, Karachi American School will only hire teaching couples. For Alan and me, we had a little disadvantage as we both taught High School Math’s. In those days it was the male who was offered AP and IB classes. SUZANNE: What was the hardest part of this lifestyle? CAZ: I never felt there was any hardship. The Schools always had a support system in place to help if one needed it. SUZANNE: Can you please tell us about the Benefits you typically received and the type of employment packages you could expect to be offered? ALAN: Usually accommodation, sometimes a vehicle, often a paid round-trip yearly to home, tax-free income, and medical. Suzanne: Typically a housing allowance, summers off with the ability to travel extensively, round trip airfare back home at least every other year. A real bonus is the ability to earn about $97,000 US tax free per person and often a low cost of living depending on the country you are in. If you re-sign for another year there is a typically a sign in bonus. If you have children they usually get the benefit of this free private school education. 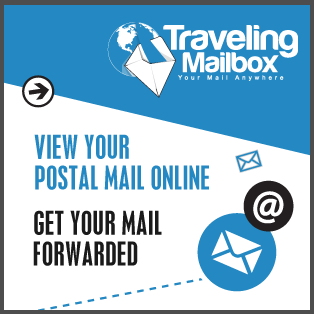 Round trip airfare is included as long as you stay for the length of your contract. 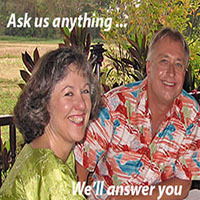 SUZANNE: What resources would you recommend someone tap into if they are interested teaching abroad? CAZ: I would recommend going to the Recruiting Conferences in the States or Abroad as then you can interview with many schools at one time. Also you can meet people from these schools. 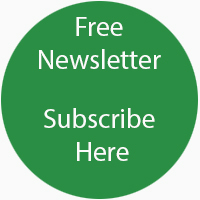 ALAN: Check out the job fairs, ISS catalogue, etc. and see what schools require of their teachers. SUZANNE: If you know anyone that has taught at an International School and you have the credentials to teach, ask for an introduction and letter of referral. Administrators love to hire people who are referred by others with whom they have worked before. SUZANNE: Many of our readers may think that a career like this is for those just getting started, but my experience has been that this is not the case. What are your thoughts about who should consider teaching abroad? Is it just for young teachers, or veteran teachers or can it include being a 2nd act for semi-retired individuals or even retirees? ALAN: Many schools prefer younger married candidates as the health risks would be less, but we met teachers abroad of all ages, often with families. CAZ: Most schools want you to have 2 years teaching experience but after that age does not matter. Some schools will end your contracts when you reach the age of 64. Two that I know of are the International Schools in Tokyo and Jakarta. SUZANNE: THANK YOU SO MUCH Caz and Alan for sharing your insights and expertise about this career direction. I can only wonder how many lives you have both influenced through the years and how those students have gone on to make a positive difference in their countries and global community. You should be congratulated for the countless contributions you’ve made to your students’ lives. The schools can vary widely in their facilities and amenities. Alan taught in a rural Peace Corp school that was rustic and dangerous, and he loved it. In contrast some schools are like elaborate country clubs with swimming pools, beautiful libraries, sports fields and amazing programs. The Alumni associations of the better schools offer Reunions around the world so graduates can stay connected. Also, if you get hired in-country you will typically earn the Local Wage, as was the case when we were hired in Puerto Vallarta. Make sure you get hired outside of the country you plan to teach in. The benefits difference is very significant. Itchy Nomads, if this lifestyle is of interest, look for a job fair and go get information and possibly do some interviews. Teaching English as a Second Language can be an easier path to getting a job, but does not typically have the financial benefits that teaching in an International School offers. 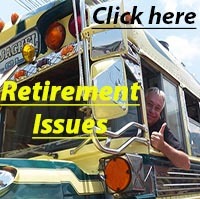 For more information on teaching abroad and jobs in retirement, see our Retirement Jobs page. This entry was posted in All Things Financial, Guest Blog Posts, Heart Song, Is It Work or Is It Passion?, Travel Tips and Insight and tagged Personal Strengthening, Perspective, Travel. Bookmark the permalink.